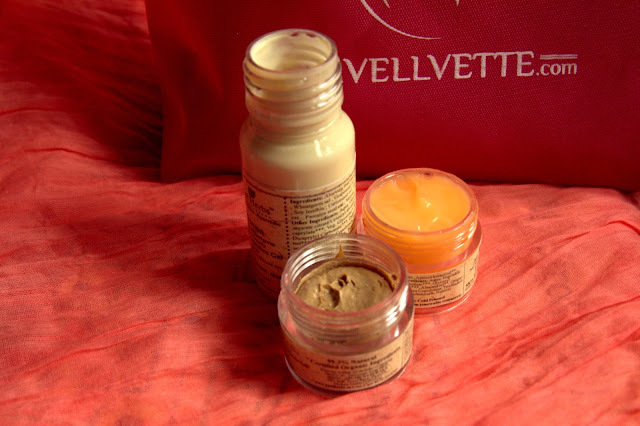 I am happy to receive my June Vellvette Bag this time. The theme is Travel edition and every receives the products in a pink travel bag. 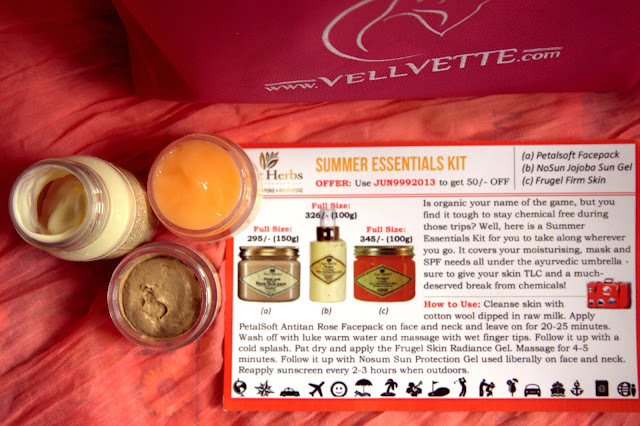 Just Herbs Summer Essentials Kit. 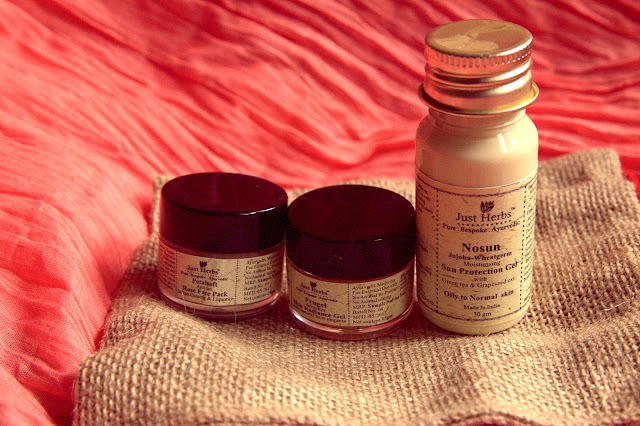 Just Herbs Summer Essentials Kit is a Sample which is NOT for sale. This came in a jute bag packing. Toni & Guy Frizz Smoothing Curl Shampoo 75ml costs Rs 275. 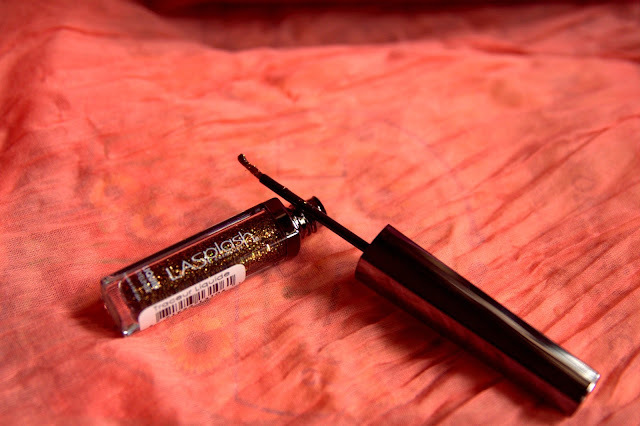 LASplash Glitter Eyeliner Tracer Liquide shade 6ml. Actual prize Rs 795 for full size. Overall, I am delighted with June bag. What's in your June bag?